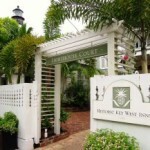 Lighthouse Court is one of my favorite Key West island inns. 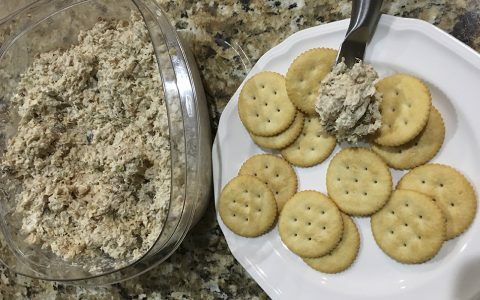 Not only does it have a tropical and relaxed atmosphere, it is located in the quieter section of Old Town, directly across the street from the Hemingway Home and Museum which is my favorite museum on the island, as it is for most other literary lovers. And I should also mention that it is adjacent to the Key West Lighthouse museum as well, which makes Lighthouse Court aptly named. 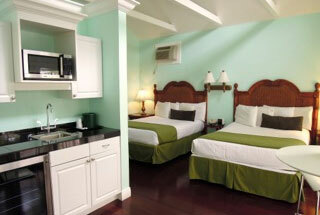 The inn is really a compound featuring ten totally renovated historic conch cottages and forty guest rooms. While the architectural style gives Lighthouse Court that old Key West feel, other property amenities like the free wireless internet make it a modern day paradise. The buildings are separated by brick pathways, courtyards, and beautiful landscaping, giving guests many places to hang out and relax. A large pool and a mojito bar round out this inn to the point where you almost don’t want to leave to see the sights of Key West. And, a delicious free continental breakfast can be enjoyed each mooring in the courtyard too. If only the property was pet friendly so that I could bring my maltese Indiana Bones, I may be tempted to move in permanently. 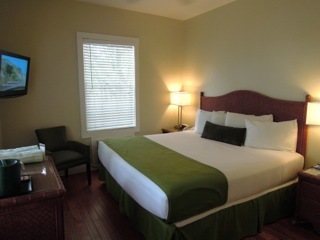 The guest rooms are all unique to one another and tailored to couples. 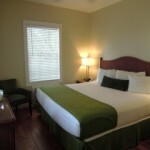 All rooms are non-smoking and offer modern amenities like flat screen televisions and new furnishings. The range of rooms offered are budget to luxury, so not matter your desires, you will almost certainly find a room to suit you at Lighthouse Court. 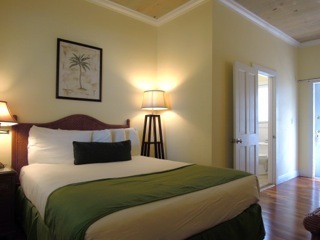 Standard Rooms provide a double bed, ensuite bath with shower, flat screen TV, and telephone. 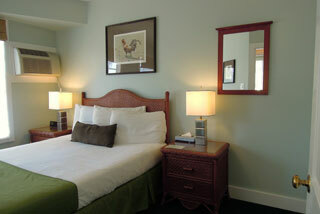 Deluxe King Rooms provide a king bed, ensuite bath with shower, mini-fridge, flat screen TV, and telephone. 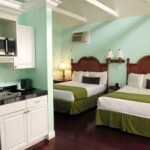 Deluxe Two Queen Rooms provide two queen beds, a wet bar with mini-fridge and microwave, a sitting area, flat screen TV, and private bathroom. 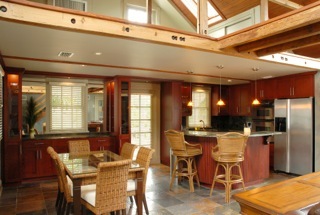 Suites provide a living room with seating, flat screen TV, and wet bar and a separate bedroom outfitted with a queen bed. The ensuite bath has a large shower. 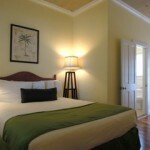 Hemingway Suite overlooks the Hemingway Home and Museum. This luxury suite is 1,000 square feet and includes: living room with plasma TV, gourmet kitchen, dining area, loft area bedroom with king size bed, tiled bathroom with shower, and private balcony. One of the nice things about staying downtown is that you can walk to many activities, sites, shopping, and restaurants. This is great because you can get in some fun exercise and you don’t have to worry about having a car if staying at this location. And if you are not walking distance from someplace that you would like to visit, you can always take a taxi which makes life very simple and your vacation care free. Lighthouse Court is located next to the Key West Lighthouse Museum and across the street from the Hemingway Home and Museum. The Six Toed Cat is a great little eatery steps away where you can get breakfast or lunch. And about a 20 minute walk away, unless you stop along the way to admire some art, snap some pictures, or other touristy activities, you will hit Mallory Square where you can watch the Sunset Celebration each night or take a trip aboard one of Danger Charters’ gorgeous sailboats. 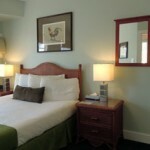 Of course, you can check out our other Key West Activities. 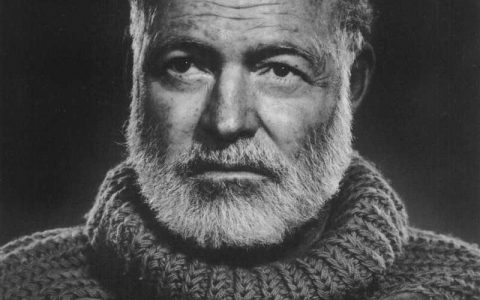 Being so near to the Hemingway Home and the Lighthouse Museum, one cannot help of thinking about being on the water and fishing. 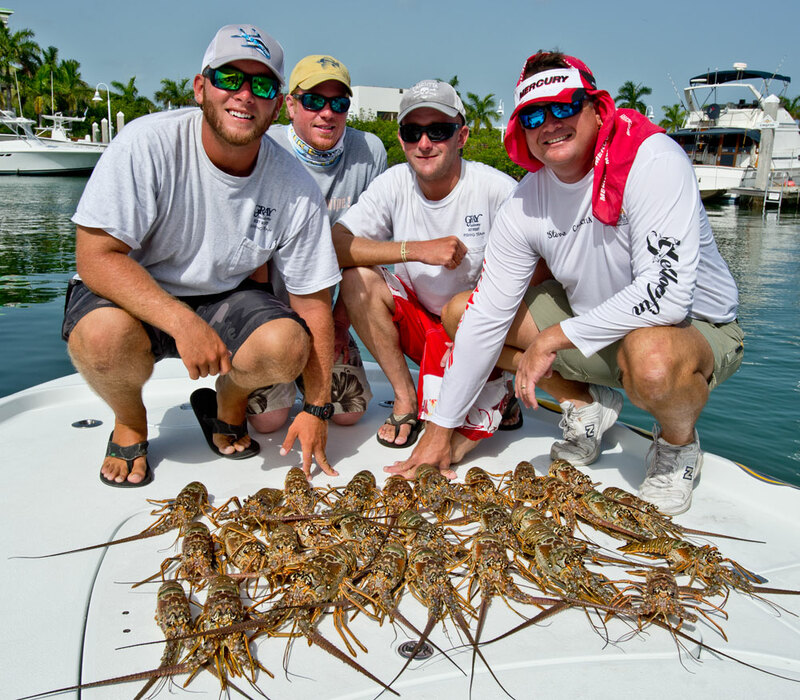 Check out Fishing Charters and set up an unforgettable fishing trip.